In high power, high voltage electronics systems, a strategy to manage short timescale energy imbalances is fundamental to the system reliability. Without a theoretical framework, harmful local convergence of energy can affect the dynamic process of transformation, transmission, and storage which create an unreliable system. With an original approach that encourages understanding of both macroscopic and microscopic factors, the authors offer a solution. 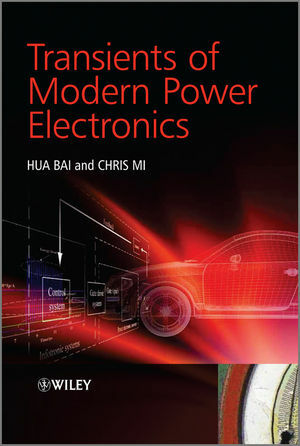 They demonstrate the essential theory and methodology for the design, modeling and prototyping of modern power electronics converters to create highly effective systems. Current applications such as renewable energy systems and hybrid electric vehicles are discussed in detail by the authors. Practitioners in major power electronic companies will benefit from this reference, especially design engineers aiming for optimal system performance. It will also be of value to faculty staff and graduate students specializing in power electronics within academia. Dr Hua Bai received B.S. and Ph.D degrees in Electrical Engineering from Tsinghua University, Beijing, China in 2002 and 2007, respectively. He joined the University of Michigan-Dearborn in September 2007 as a post-doctoral researcher. His research interests are the short-timescale pulsed power phenomena of power electronic devices in three-level NPC high voltage and high power inverter, and integrated design of high voltage and high power bidirectional DC-DC converters. Dr. Chris Mi is Associate Professor of Electrical and Computer Engineering at the University of Michigan, Dearborn. Dr. Mi holds a BS and an MS degree from Northwestern Polytechnical University, Xi'an, China, and a Ph.D degree from the University of Toronto, Toronto, Canada. Dr. Mi is the recipient of the "National Innovation Award," "Government Special Allowance" given by the Chinese Central Government, the "Distinguished Teaching Award" of University of Michigan Dearborn. He is also a recipient of the 2007 IEEE Region 4 "Outstanding Engineer Award," 2007 "IEEE Southeastern Michigan Section Outstanding Professional Award," and 2007 SAE "Environmental Excellence in Transportation Award." Dr. Mi is the General Chair of IEEE Vehicle Power and Propulsion Conference 09. Transients of Modern Power Electronics Visit the accompanying website to access simulation models.